After 900 Years of Paper – Plastic Money is Here to Stay. | Chaos Sweeps Away the World We Know! The Disaster, current events & Catastrophe Blog. Forecasts for 2014 to 2022. Read tomorrows news today! Plus current economic, commodities, stock indices and financial news. ← Picture of the Day – Arches National Park in Winter. December 20, 2013 – Paper or Plastic? Britain Joining Currency Trend: It took only 900 years, but paper money is fading away. 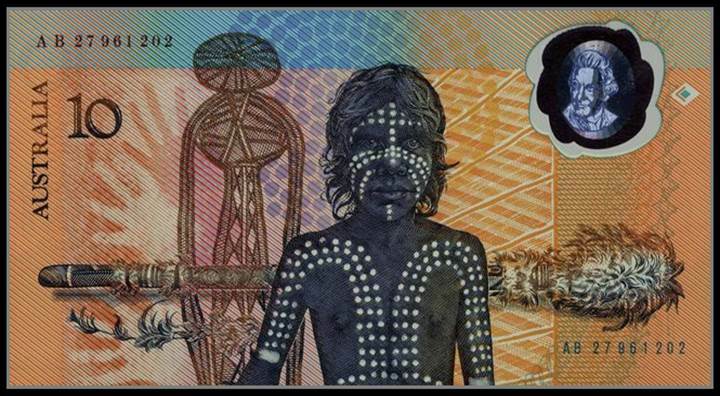 Pictured above, an Australian 10-dollar bill. As a new technology, plastic bank notes, becomes more popular around the world, people will have to get used to money that is slipperier but less grimy and harder to fold into origami cranes but more likely to survive washing machines. The decline of one of the world’s greatest inventions gained momentum on Wednesday when Britain announced that the British pound, a reserve currency that has been printed on cotton-based paper for 300 years, will be made from plastic. Britain is the latest nation to replace paper bills — starting with the £5 and £10 notes — with plastic ones. Canada and Australia have already made the switch, as have about two dozen other countries. Others, although not the United States, are expected to follow suit. The reason is simple enough: Plastic — or polymer, as it is called — holds up better than paper. It is also a lot harder to counterfeit. Governments worry about such things, with good reason. But that is not what people who must now use polymer bills are concerned about. When Canada began introducing polymer notes in 2011, people grumbled about their slipperiness and their foldability. They thought the plastic bills would melt on hot radiators or car dashboards. Some people convinced themselves that the notes were infused with a maple syrup scent, a notion that the Bank of Canada dismisses. Eventually this new plastic money will spread to the United States, because of the difficulty of counterfeiting. (Credits – The Bank Note Book and The New York Times). This entry was posted in Australia, Canada, Economic, United Kingdom and tagged Bank of Canada, Bank of England, Banknote, Canada, Mark Carney, Polymer banknote. Bookmark the permalink. 1 Response to After 900 Years of Paper – Plastic Money is Here to Stay.